HAZARD, Ky. – Hazard Community and Technical College (HCTC), in conjunction with the USA Drone Port, will host the first-ever Unmanned Aerial Services Conference on March 27-30 on the Hazard campus of HCTC. 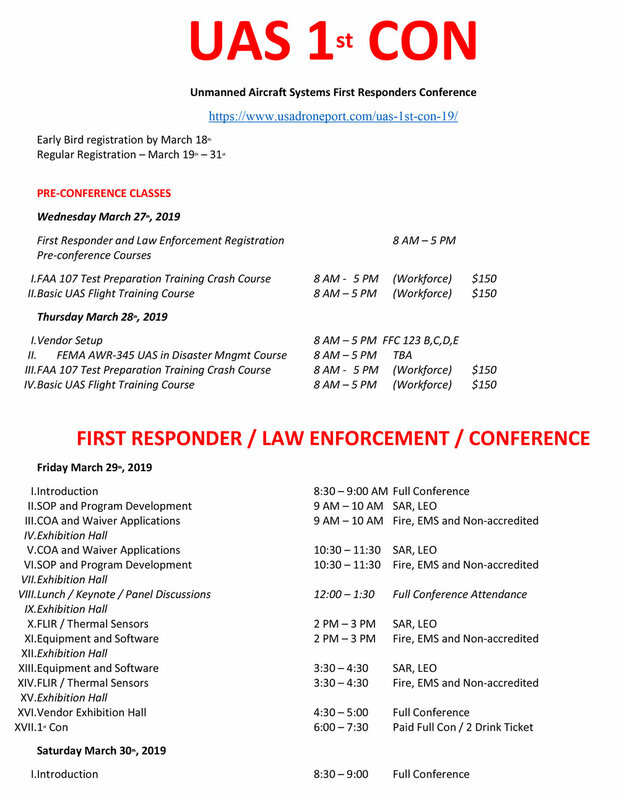 The conference will include information on drone certifications, drone technology exhibitions, on-site demonstrations, panel discussions, search and rescue drone training, and industry-leading speakers. HCTC and the USA Drone Port have led the effort in providing certified drone pilot training courses and other services in eastern Kentucky. HCTC and the USA Drone Port are partners of Shaping Our Appalachian Region, Inc. (SOAR). The work of the USA Drone Port aligns with SOAR’s Regional Blueprint goals of 21st Century Workforce and Small Business. One of the USA Drone Port’s former students co-founded Kentucky Aerial Technologies, a Paintsville, Ky.-based drone company that is currently working on assignment in California. Kentucky Aerial Technologies is a Unity partner at SOAR. For more information on the USACON Conference, visit www.usadroneport.com or contact Bart Massey at (606) 487-3267 or by email at bart.massey@kctcs.edu.